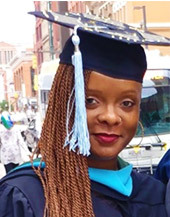 Candidates choosing the Thematic concentration will have utmost flexibility to become more proficient in a broader array of content in the Curriculum and Instruction field, preparing them to become thought-leaders in their schools and districts, or preparing them for deeper work in a doctoral program. The M.A. in Curriculum and Instruction with a thematic concentration is also a 33 credit program, including 6 core Curriculum and Instruction graduate courses and 5 additional graduate courses. Offering flexibility, students work with his/her advisor to choose from one of the 2 class choices below as well as 3 classes from an array of graduate courses in the School of Education to create a thematic focus track that is complementary to the Curriculum and Instruction core courses. This program may be taken part-time (to be completed in 2-5 years) with up to 5 or 6 classes offered per calendar year. There may be full-time opportunities for interested cohorts. Part-time offers a self-paced opportunity to complete requirements over a longer period of time with courses delivered at times of the day that are convenient to full-time work schedules. In addition, hybrid and online course offerings are also available for some of the coursework. Successful candidates will receive the Master of Art in Curriculum and Instruction preparing them for leadership positions in schools and district offices, and as well, preparing them for further graduate study at the doctoral level.